This recording is one third of a concert recorded in Paris in 1978. The other two parts were released on the Italian Red and British Cadillac labels. The Cadillac Conceptual Saxophone is, amazingly, still available commercially from the label. When you order you’ll get a vinyl copy from the original pressing. Let me know if you’d like one. Organic Saxophone was released by Jef Gilson – who also recorded the concert – on his Paris-based Palm label. I’m guessing Gilson selected from the takes at the concert because this is the best programmed of the three LPs. Romantic ballads intersperse with sharper, wilder, performances, and the whole is very satisfying indeed. The recording is excellent for a live performance, although there is a very strong pre-echo of the sound explosions to come in each of the quiet moments in Murray’s solos. This is most likely the result of ‘print-through’ where the magnetic signal encoded on the tape is passed on to the next layer of the tape wound on the reel. I must try and see if I can find out the full running order of the concert. I did try and see if there were any aural clues to the order, but it defeated me. It would be marvellous to have the whole two days of recordings featured on the three LPs made available as one release in performance order. I know that at least one of the masters still exists. This is the first time on record that Murray tackles a standard (well two, actually). ‘Body and Soul’ is dedicated to Hawkins and Webster, indicating the importance Murray placed on investigating the saxophone techniques of the masters of the instrument. Murray plays the theme with all the romanticism that made the Hawkins’ rendition a jukebox hit forty years before. From that point on, though, it’s an exploration of both the musical possibilities of the piece and the saxophone. Just as Hawkins had transformed what was possible on a tenor, Murray looks to go beyond even that. However, this is a lovely, tender, rendition which would set a pattern for his later exploration of the ballad in the jazz tradition. ‘Chant for a New South Africa’ is a wonderful, well titled, piece. He seems to be exploring the sort of counter-point used so effectively in the World Saxophone Quartet, but here from one soloist. Quite remarkable. It is both a meditative chant and a blow of frustration, punctuated with saxophone and verbal cries. He was seldom as overtly political in the naming, or playing, of a composition. It is interesting how many of Murray’s recordings have dedications. His music always sounds very personal to me, and the dedications tend to suggest the relationship between his selection of music, his playing, and his personal relationships. I tend to a degree of speculation when trying to map out the dedications, and I’d be very interested to hear if I’ve got any of these right (or wrong), but they suggest a network of fellow musicians and friends who stimulated and supported his work. Ballad for Matthew and Maia Garrison feels a very personal piece, and I’m guessing that it’s named after the bass player and dancer siblings born to Coltrane’s bassist, Jimmy Garrison, and his wife, the dancer Roberta Garrison. The younger Garrison’s would have been ten and seven at the time of the recording, and the dedication suggests something of the creative world in which Murray operated at the time. Hope/Scope is a much tarter piece featuring lots of Murray’s squeals and low to high leaps and runs, and the fast alterations between quiet and high volume. It feels right that this would be for the poet and writer Mary Hope Lee, whose poem “on not bein” is often a part of compilations of African American women’s writing. I’d like to think her ‘A Song for David’ from the following year was a reciprocal dedication. 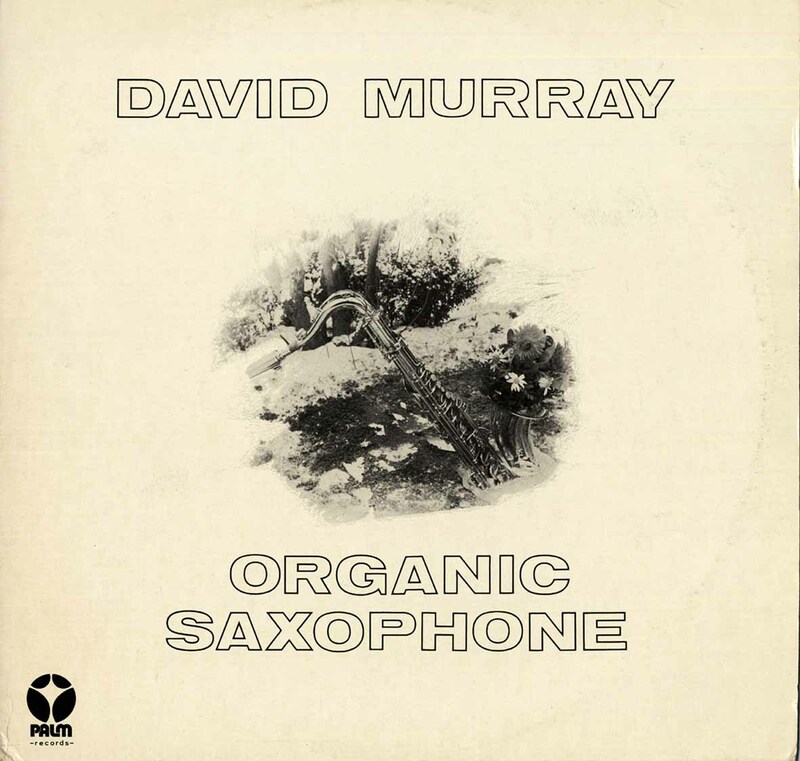 Murray reused the theme a further seven times on record in a variety of settings for quartet, octet and duo’s with piano players Dave Burrell and then Donald Fox. Murray’s later playing is even more ecstatic than it is here, and usually set against piano clustered discords. Such an observation rather undermines the view that Murray became more mainstream as his career progressed. The treatment of ‘All the Things You Are’ mirrors that of Body and Soul. A romantic statement of the theme and some lovely flights of playing that bring out the edge of a standard that’s often given a saccharin treatment. It’s dedicated to Murray’s then partner, poet Ntazake Shange, with whom Murray had been performing in New York for much of the previous year, and there are suggestions that they worked together in Europe during June 1977 (West 1977). I don’t know of any recordings of these performances, but I’d sure like to hear them if they exist. It’s pretty much an avant-lovesong. Murray’s own ‘Promenade’ and Stanley Crouch’s ‘Monica In Monk’s Window’ finish off the LP. The latter has a jolly theme which I think is pretty good writing from the EngLit-teacher-turned-drummer-turned-cultural-critic. Murray certainly does an excellent job with it in this five minute or so performance. As far as I am aware this is the only recording of both pieces. The earlier number is dedicated to George Brown, who I assume is the same GB who plays drums on the January Quartet Paris concert that appears on Last of The Hipman and Let the Music Take You [I featured Hipman in an earlier post here]. If you know anything more about George Brown I’d be very interested to hear. Mary Hope Lee ‘on not bein’ collected in Cherrie Moraga and Gloria Anzaldua (eds) (1981): The Bridge Called My Back: Writings by Radical Women of Color. Women of Color Press. Hollie I West (1977): ‘The Development of a Bright Star’ Washington Post 12th June 1977.